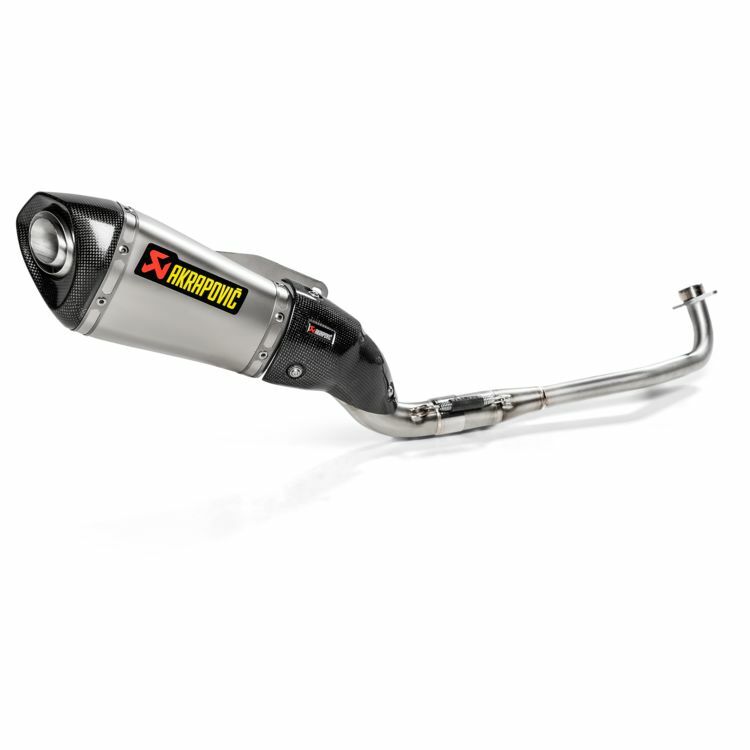 The Akrapovic Racing Exhaust System represents a full step in the exhaust system tuning process and offers performance that is unsurpassed in the motorcycle exhaust world. The Akrapovic Racing performance exhaust systems are designed for riders that demand maximum performance from their motorcycle. These Akrapovic Exhaust Systems are lighter compared to the stock exhaust system and feature exceptional production quality and increased engine performance combined with pure racing sound output. The headers and mid-pipes of the Racing Line are constructed exclusively of stainless steel while the Evolution Line uses titanium. Other than the materials used these two exhaust systems are identical.